THE REEAAALLY BIG ONE ! Is there meaning and Purpose and meaning of life??? What is the meaning of Life? What is the purpose of My Life? 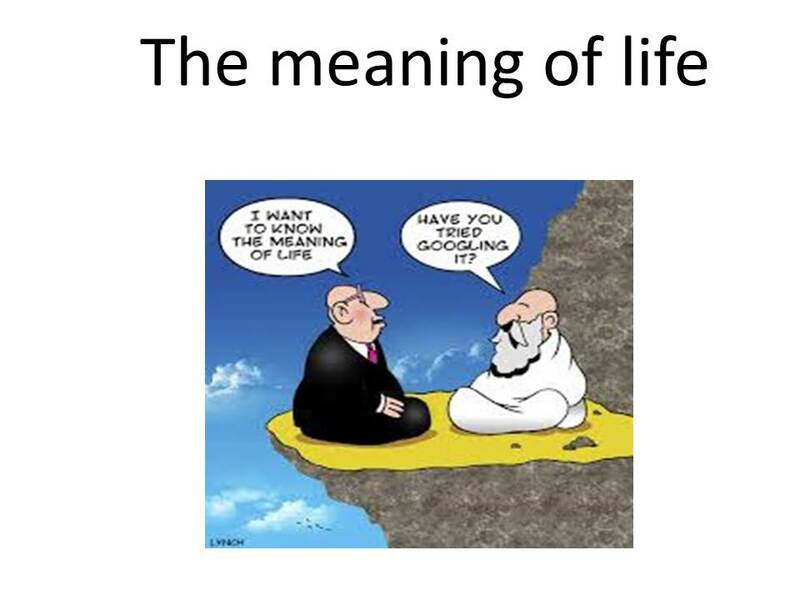 So I spent a fair amount of time on Google, looking up The meaning of life and I find that almost always, people investigating this question use “Meaning” and “Purpose” interchangeably. There’s another two words that are often interlinked when we talk about our vision and mission statement. So while a Mission might be something that is assigned to us, a Vision is something that we assign ourselves. So our Mission might be to teach Unity principles while our Vision is our Just 4 Kids building. Similarly, while a purpose might be something that is assigned to us, a meaning is something that we assign ourselves. The frustration of the existential need for meaningful goals will give rise to aggression, addiction, depression and suicidality, and it may engender or increase psychosomatic maladies and neurotic disorders. Gandhi – be the change. We are the only thing we can change. Have you not found that to be true? When have you been the happiest? In service. We, as free and responsible humans are called upon to bring forth the best in ourselves and in the world, by finding the meaning of the moment in each and every situation. This may be different for each of us. There is no one general meaning of life. Rather, we must all be open and flexible to enable ourselves to shape our day-to-day lives in a meaningful manner. A group of scientists questioned whether an ape which was being used to develop a poliomyelitis serum, and for this reason punctured again and again, would ever be able to grasp the meaning of its suffering. Unanimously, the group replied that of course it would not; with its limited intelligence, it could not enter into the world of man, the only world in which the meaning of its suffering would be understandable. SLIDE #10 WHAT DO YOU THINK? Then let us ask the question ‘And what about man? Are we sure that the human world is as far as evolution goes? Or has come? Is it not conceivable that there is still another dimension, a world beyond our world; a world in which we, like the ape, might be capable of understanding the meaning of our suffering? 1. THE WORLD: A purpose of life is tikkun olam (the repair of the world) This includes human rights, ending poverty, stopping violence, ending human trafficking, and much more. 3. FAMILY: A purpose of life is to participate in the nurturance of the next generation. The next generation is a gift we give the world. Whether we give birth to our own children, adopt children, or contribute our time and effort to the needs of the next generation. LOVE: A purpose of life is to forge loving relationships. When we enter into loving relationships, we establish a bond of love, support, healing, encouragement & inspir-ation that flows in both directions. Our love gives another a sense of purpose, as their love does the same for us. GOD: A purpose of life is engagement with God. For some this means obedience to what they understand to be God’s requirements. For others, this means discovering the God within and beyond (immanent and transcendent) who animates existence. And I add that all of these must be done within a framework of community. What is the purpose of one leaf!? One ant? What is the purpose of You? What is the meaning of Life for You? I offer this sentiment (LAST SLIDE) and invite you to take a moment to personalize in your mind, what that channel and that expression might look like in your Life.